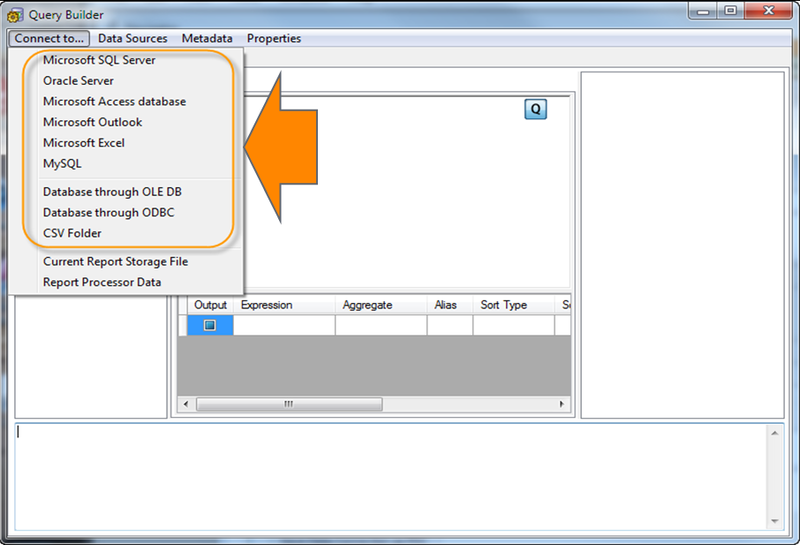 There has always been a need for a good MySQL Reporting tool. 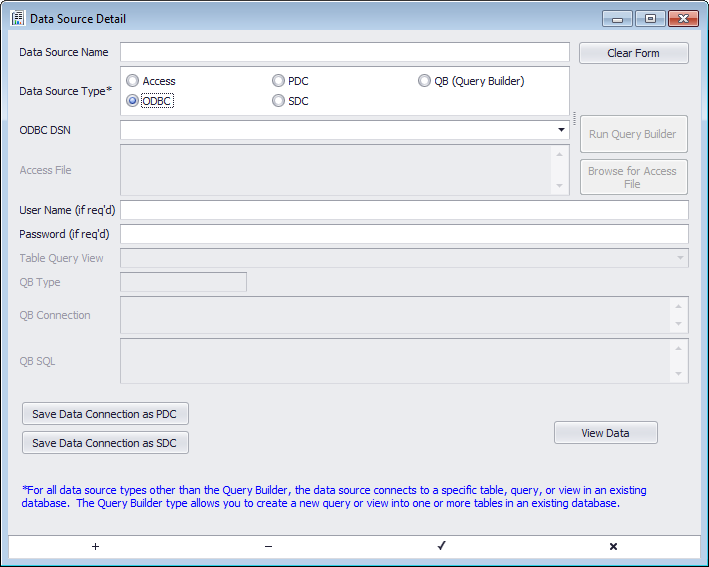 Sunset Reports offers several methods of connecting to MySQL databases that makes it a good choice for creating reports using MySQL databases. 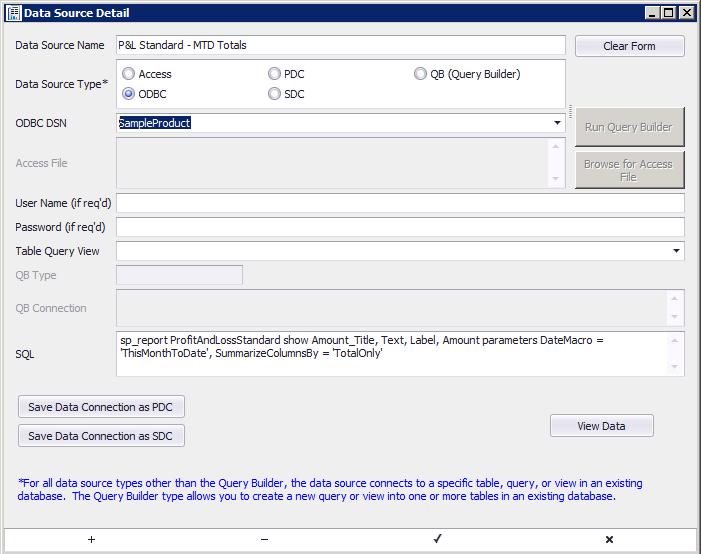 Using the built-in Query builder you can connect directly to a MySQL database as shown in the next figure. 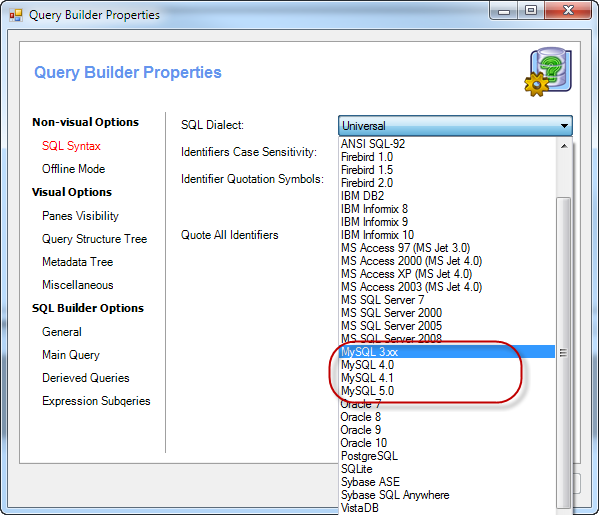 The Query Builder also supports SQL Dialects for the different versions of MySQL. 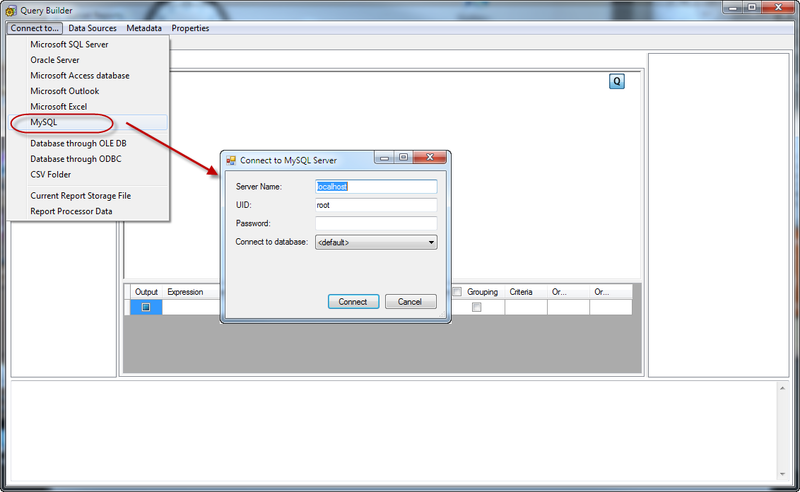 But of course, you can simply use the ODBC connection if you choose.